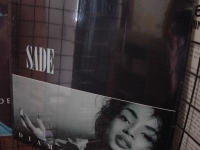 Classic Analog LPs - items 800 to 825 Shop MyMusicFix!! Rare Russian Analog LP Pressing. 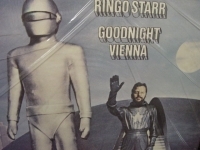 Features apperances by John Lennon, Elton John, Robbie Robertson, Dr. John and more! 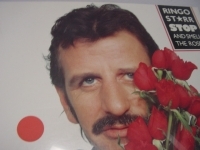 Tracks Include: "(It's All Da-Da Down To) Goodnight Vienna" "Occapella" "Oo-Wee" "Husbands And Wives" "Snookeroo" "All By Myself" "Call Me" "No No Bong" "Only You (And You Alone)" "Easy For Me" "Goodnight Vienna (reprise)"
"Ringo Starr, Stop And Smell The Roses"
"Robert Cray, Strong Persuader - Original Release"
"Robert Johnson, King Of The Delta Blues Singers (Vol.2)"
Classic Analog LP Pressing. 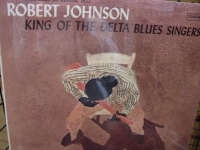 Robert Johnson is more than a blues legend, to most he is the definitive delta blues bluesman, despite only recording 27 songs before dying at 27. 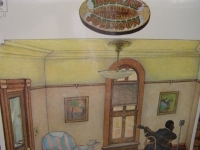 Equally important, Johnson's persona and his songs introduced a musical and lyrical vocabulary that are the basis of the modern blues and blues-based rock. Tracks Include: "King Heartet Woman Blues" "I Believe I'll Dust My Broom" "Sweet Home Chicago" "Rambling On My Mind" "Phonograph Blues" "They're Red Hot" "Dead Shrimp Blues" "Preachin' Blues" SIDE TWO: "I'm A Steady Rollin' Man" "From Four Till Late" "Little Queen Of Spades" "Malted Milk" "Drunken Heartet Man" "Stop Breakin' Down Blues" "Honeymoon Blues" "Love In Vain"
"Robert Johnson, King of the Delta Blues Singers"
"Robert Palmer, Addictions (Greatest Hits Vol. 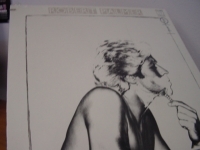 I)"
All Long Out Of Print are still Factory Sealed Classic Analog LP Pressings with small Cut Out in Cover. The last OF THE ORIGINAL analog pressing from the eighties and you will be one of the last people in the world to own this original 80s pressings with all of the original inner sleeve slip covers. 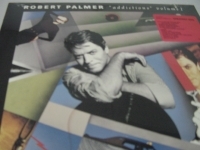 ADDICTIONS VOLUME I - The Best Of Rober Palmer is a 13 song collection of hits picked by Palmer himself in an attempt to represent his career in retrospect between the early days as a solo performer through his string of 80's hard rock hits and popular MTV videos. With Palmer picking the songs himself you get a solid overview of the divergent paths his career has taken over the years. 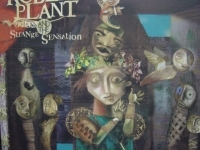 His work with African and Carribean musical influences are represented in numbers such as Woke Up Laughing and Pride. 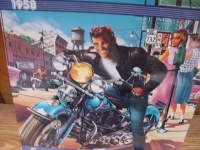 His dabbling in 80's new wave is aptly represented with Looking For Clues. There are ballads such as the Top 20 hit single Every Kinda People and some if not all of the memorable "mega hits" such as Bad Case Of Loving You, Addicted To Love, Simply Irresistible, and his performance with the Power Station on Some Like It Hot. 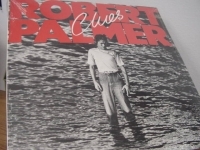 Some notable hits of the era are not included in favor of lesser known work Palmer felt better represented the different musical styles present in his long career. The album, released in 1989, also predates some Palmer hits such as Mercy, Mercy Me/I Want You so that is obviously not included. Overall, a well done best of collection which suitably represents the varying musical styles and influences that have marked Palmer's recording career. Classic Analog Out Of Print LP Pressing w/ small cut out in cover. 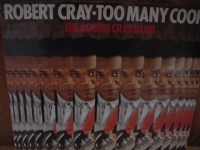 Tracks Include: "Bad Case Of Loving You (Doctor Doctor)" "Addicted To Love" "Simply Irresistable" "Every Kind Of People" "Some Like It Hot (with Power Station)" "Pride" "Sweet Lies" "Woke Up Laughing" "Looking For Clues" "Some Guys Have All The Luck" "What's It Take" "Johnny & Mary" "Style Kills"
Classic Analog Out Of Print LP Pressing w/ small cut out in cover. Tracks Include: "Looking For Clues" "Sulky Girl" "Johnny And Mary" "What Do You Care" "I Dream Of Wires" "Woke Up Laughing" "Not A Second Time" "Found You Now"
Classic Analog Out Of Print LP Pressing w/ small cut out in cover. 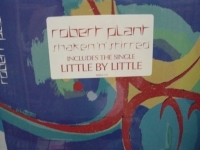 Tracks Include: "Pride" "Deadline" "Want You More" "Dance For Me" "You Are In My System" "It's Not Difficult" "Say You Will" "You Can Have It (Take My Heart)" "What You Waiting For" "The Silver Gun"
"Robert Plant And The Strange Sensation, Mighty Rearranger - Last Copy - CURRENTLY SOLD OUT"
Euro Sealed Classic Analog LP Pressing. 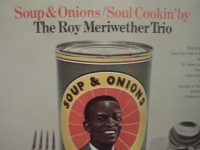 Tracks Include: "Another Tribe" "Shine It All Around" "Freedom Fries" "Tin Pan Valley" "All The Kings Horses" "The Enchanter" "Takamba" "Dancing In Heaven" "Somebody Knocking" "Let The Four Winds Blow" "Mighty Rearranger" Brother Ray." 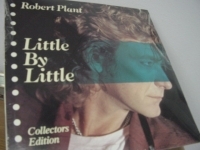 "Robert Plant, Little By Little (Collectors Edition)"
Classic Analog Out Of Print LP Pressing w/ small cut out in cover. Tracks Include: "Little By Little (remix long version)" "Easily Lead" "Rockin' At Midnight (live with the honeydrippers)" "Sixes And Sevens"
"Robert Plant, Shaken 'N' Stirred"
"rock n Roll 1958 - Double LP"
1958 2 LP SET / with these bonus Tracks - It's all In The Game - Tommy Edwards / When - Kalin Twins / Twlight time - The Platters / Stupid Girl - Connie Francis / Lollipop - The Chordettes / Whole Lotta Woman - Marvin Rainwater / My True Loce - Jack Scott / Born To Late - The Poni-Tails / Raunchy - Bill Justis / At The Hop - Danny and the Juniors / Bony Moronie - Larry Williams / Endless Sleep - Marty Wild / A Wonderful Time Up There - Pat Boone. 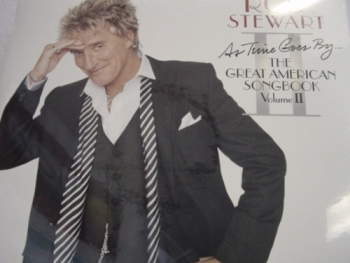 "Rod Stewart, As Time Goes By -- THE GREAT AMERICAN SONGBOOK VOLUME II "
Rare Russian Analog LP Pressing. 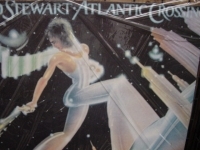 Tracks Include: "Three Time Loser" "Alright For An Hour" "All In The Name Of Rock N Roll" "Drift Away" "Stone Cold Sober" "I Don't Want To Talk About It" "It's Not The Spotlight" "This Old Heart Of Mine" "Still Love You" "Sailing"
"Rod Stewart, Stardust - The Great American Songbook Vol.III"
Classic Analog LP Pressing. OUT OF PRINT Note for note as solid as its predecessors--a cozy-up-to-the-fire treat that's also a pleasant reminder of these songs' staying power. "S'Wonderful" settles on the ears winningly, and Stewart's scratch-a-thon voice scalpels the cobwebs off of "Isn't It Romantic" in a way that compels the average listener to reconsider thinking it dopey. In addition, the parade of high-wattage pals recruited to pitch in continues here, resulting in a couple of must-hear combinations. Eric Clapton delivers a rather un-Clapton-like guitar solo on "Blue Moon" and Stevie Wonder blows harp like he means it on "What a Wonderful World," but it is the duets--"Baby It's Cold Outside" with the unsinkable Dolly Parton and "Manhattan" with the indomitable Bette Midler--that dazzle most. Tracks Include: "Embraceable You" "For Sentimental Reasons" "'S Wonderful" "What a Wonderful World (w/ Stevie Wonder)" "BAby It's Cold Outside (w/Dolly Parton)" "Blue Moon (w/ Eric Clapton)" "I Can't Get Started" "Manhattan(w/ Bette Midler)" "Isn't It Romantic" "A Nightingale Sang In Berkeley Square" "You Belong To Me" "Stardust"
"Roger Waters, Pros & Cons of Hitchhiking - CURRENTLY SOLD OUT"
Classic Analog Out Of Print LP Pressing ROGER WATERS of Pink Floyd- RADIO K.AO.S. 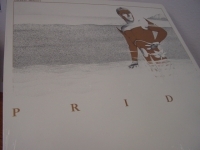 - Out of Print rare analog sealed LP - On par with the post-Waters Floyd stuff. The subject matter is pretty dated as there is no longer a Cold War and we don't live under the threat of nuclear annihilation from the Russians, but some of the other stuff is timely (The Powers that Be especially). 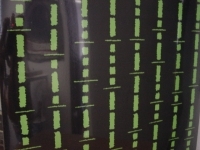 Tracks include: Radio Waves - Who Needs Information - Me Or Him - Powers That We Be -. Sunset Strips -. Home -. Four Minutes 8. Tide Is Turning (After Live Aid). 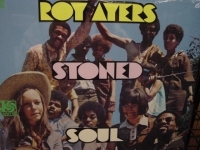 "Roy Ayers, Stoned Soul Panic"
Classic Analog LP Pressing. 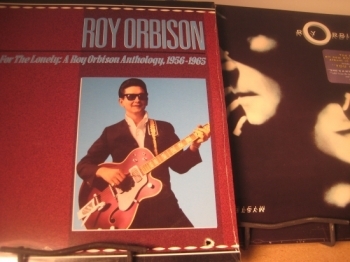 Tracks Include: "A Rose For Cindy" "Stoned Soul Panic" "Wave" "For Once In My Life" "Lil's Paradise" "What The People Say"
"Roy Meriwether Trio, Soup & Onions (Soul Cookin' By The Roy Meriwether Trio)"
"Roy Orbison, For The Lonely and Mystery Girl - 2 LP Setl"
"Rush, Feedback - Original LP - Gatefold Cover - with Marketing Stickers"
Classic Analog LP Pressing. 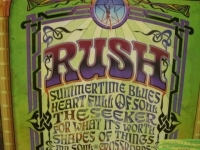 Rush goes back to their roots and covers the music that inspired them, including songs by Cream, The Who, Buffalo Springfield, The Yardbirds and more. 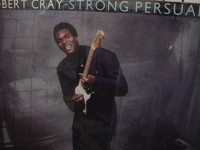 Tracks include: "Summertime Blues" "Heart Full of Soul" "For What It's Worth" "The Seeker" "Mr. 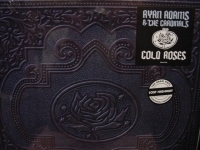 Soul" "Seven and Seven Is" "Shapes of Things" "Crossroads"
"Ryan Adams, Cold Roses (2 LPs) - Last Copy"
Classic Analog LP Pressing. Tracks Include: "Smooth Operator" "Your Love Is King" 'Hang On To Your Love" "Frankie's First Affair" "When Am I Going To Make A Living" "Cherry Pie" "Sally" " I Will Be Your Friend" "Why Cant We Live Together".